I love all of the trends that are happening right now! From cut-outs and cold shoulders, to 90’s grunge, they are all so wearable in my opinion. For summer, I don’t think you can go wrong with the boho vibes that are trending right now. The sheer crochet tops and the light colors are so beautiful. 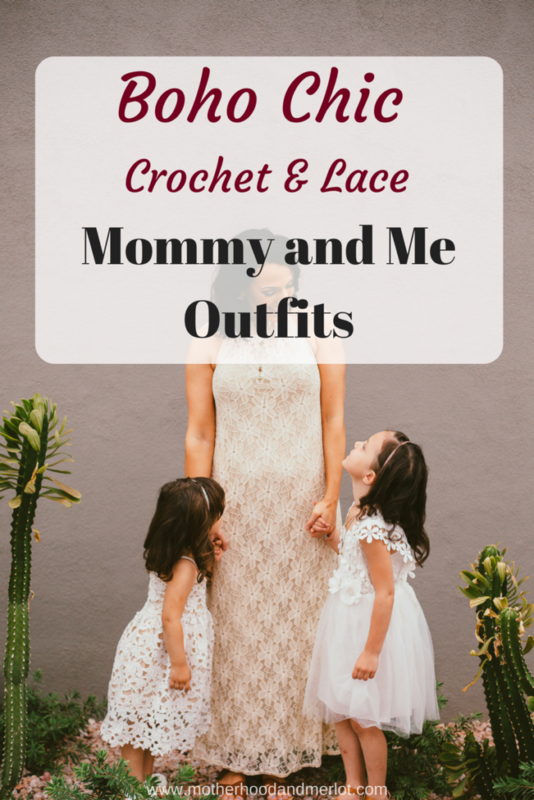 I wanted to share one of my favorite dresses right now, and my littles wanted to help by sharing these adorable mommy and me boho chic outfits. 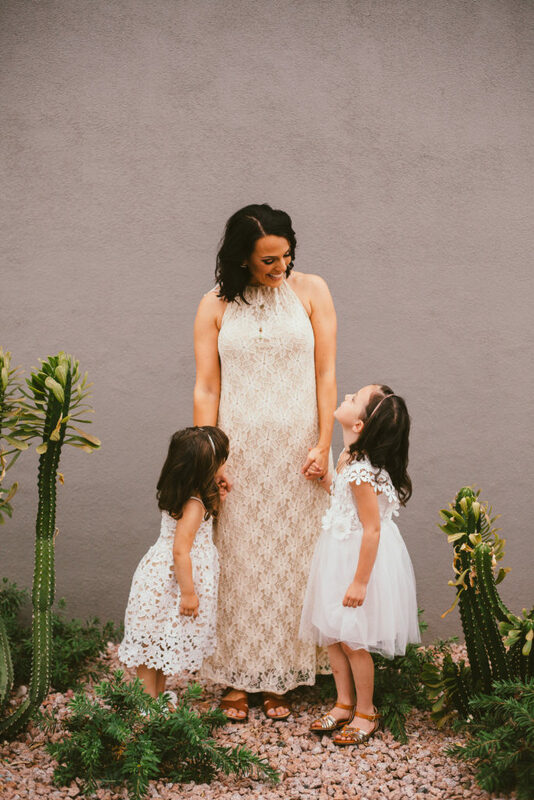 With Mother’s Day having just passed, I thought it was one fitting to have two of the four little ones that made me “mommy” in this post. Plus, how cute are they? The thing I love most about this dress is how easy it is to wear, but also how flattering it is. It could be dressed up or down and you could wear it for so many different occasions. This boho look is so trendy right now, but it is also so gorgeous on so many body types. 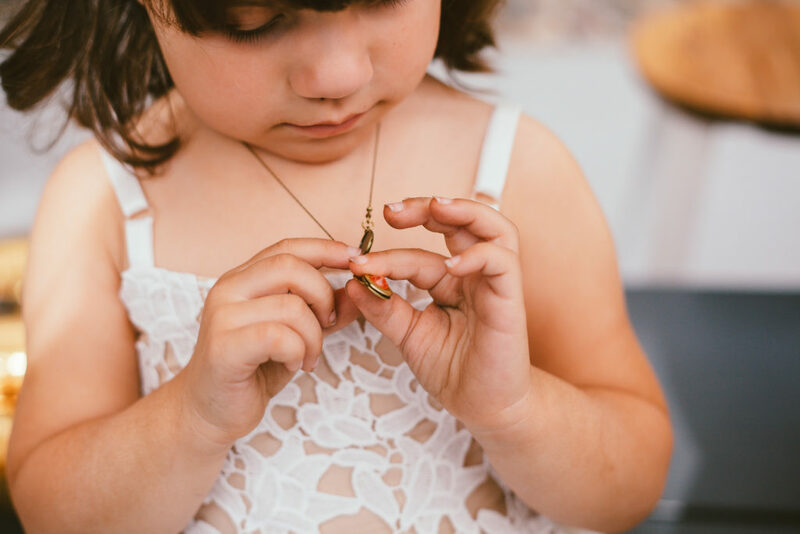 More options for little girls boho chic dresses. These girls dresses are absolutely adorable. 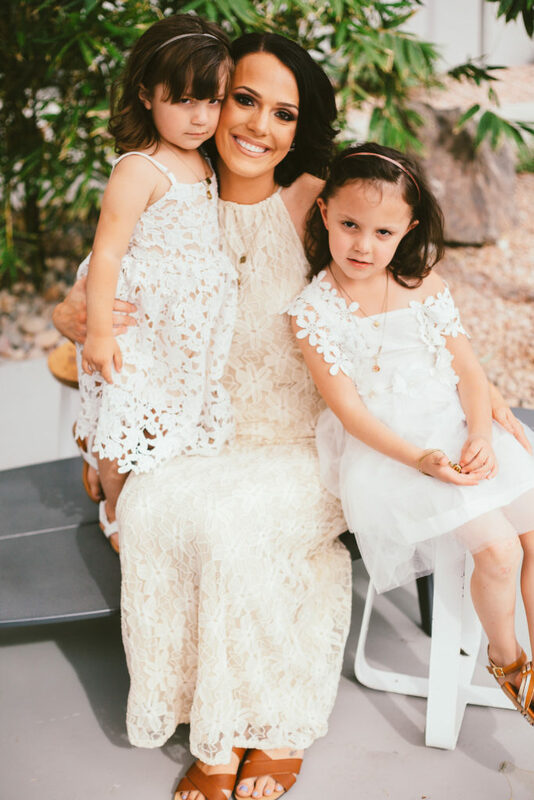 The lace isn’t cheap feeling and my kids loved that they felt like “fancy dresses” even though they are breathable and easy for them to run around in. The bell sleeves on these dresses in particular are so cute and the photograph beautifully! What are your favorite clothing trends that are happening right now? If you love this type of post, make sure to tell me in the comments so that we can do more of them! You all are gorgeous! I love this look, especially for summer. I don’t think I have any lace dresses, so I need to get one of these now! These dresses look so sweet together. You all are so beautiful! Adorable photos! I love lace dresses! Those are adorable outfits! I love the simplicity of the white/creams and the elegance of the lace. You are gorgeous and your daughters are beautiful! I love your pretty dresses so much! I have one daughter and we love dressing up together too! Lace does feel fancy! What cute pics with your girls too. I almost bought a lace-detailed swimsuit for the summer, but I couldn’t find the matching bottoms. I really like that lace has gone back into fashion! Omg loving the outfits!!! Such chic dresses. I love matching with my daughter. What gorgeous dresses! I love seeing little girls and their moms in matching outfits. Lace is such a great option for warm weather.